Smiley Culture, 10 February 1963 - 15 March 2011, in his deejaying heyday. David Emanuel may be a rather non-descript name, but if you have any British connections or affiliations with London’s music scene in the 1980s the name evokes memories of the cheeky Cockney with the megawatt grin. Smiley Culture, as he was more popularly known, died under tragic and suspicious circumstances on March 15, 2011, at his Warlingham, Surrey home. Cockney Translation and Police Officer were the two hits that energized the British music scene, melding the popular toasting of Jamaican DJs with the culture and slang of the first generation of Caribbean immigrant children seeking their own identity. Smiley became the poster boy for the new breed of musical stylee. Although his public profile as a musician was relatively short-lived, his influence impacted his peers and can be said to have ushered in the current crop of popular performers like Dizzee Rascal. He was charismatic, intelligent and always with an eye open for opportunity, becoming a trader in precious stones. He had concessions in several gold and diamond mines in Ghana, Uganda, Liberia, Kenya and the Democratic Republic of the Congo. 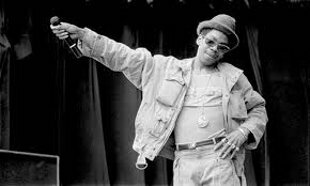 At the time of his death, Smiley was facing a charge of importing cocaine and on bail awaiting an appearance in court to determine whether there was any case to answer. Much like the US grand jury, if a case is established then the matter would have been transferred for trial to the Crown Court. On the morning of March 15, four officers from the Metropolitan Police serious crime squad went to Smiley’s home. As an outside police force, it is not known if they informed the local police of their presence and intent to question a constituent. The official reason for this visit by the Metropolitan Police six days before Smiley’s appearance in Croydon Magistrates’ Court has not been given. Some reports say that they were in the process of conducting a raid. What is certain is that the police arrived at the home at 7:00 a.m. and some one and a half hours later, Smiley was dead. The post mortem report states that he died from a single stab wound to the heart. The limited police statement that has been released alleges that Smiley asked to make himself a cup of tea, went to the kitchen and then stabbed himself! As Merlin Emanuel, the nephew and official spokesperson for the Emanuel family has said, “it beggars belief that Smiley would have stabbed himself’. What IS known is that the force of the blow pierced Smiley’s heart, lung and exited his back. One wonders at the police policy of allowing a suspect out of eyesight, especially considering the allegations concerning illicit drugs. The IPCC, the Independent Police Complaints Commission, is conducting its inquiry, but as yet no official further word has been heard from the officers present at the time of Smiley’s death and as far as it is known, those officers remain on active duty. There are certainly many questions relating to this bizarre incident, whether those questions will eventually be answered will remain to be seen. It is certainly ironic that the song that made Smiley Culture a household name – Police Officer – should prove to have so prophetic a role in his demise. Piercing one’s self so powerfully is a hard thing to do.